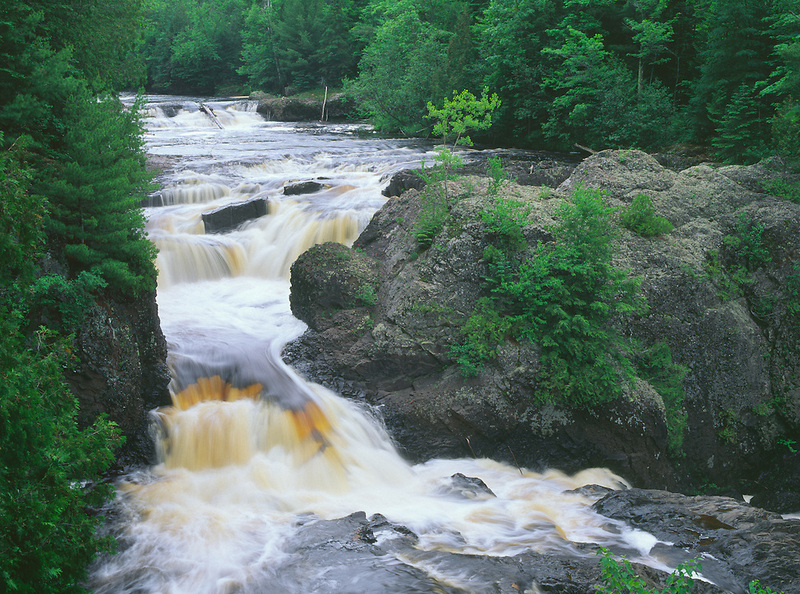 Potato River Falls, with its brown water rich in tannins, cuts through volcanic rock in northern Wisconsin. Summer. Morning.